Originally slated for release on the new FXX network, FX announced earlier this month that Chozen is switching to FX, debuting Monday, January 13 at 10:30 PM ET. 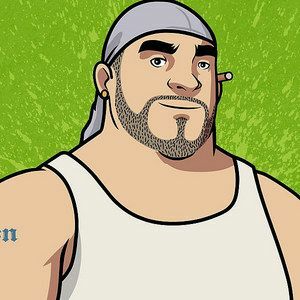 Bobby Moynihan lends his voice to the title character, a gay white rapper who has a whole new outlook on life after his release from prison. Be warned, there is plenty of R-rated language in this video, so watch at your own risk before the Season 1 Premiere debuts in January.